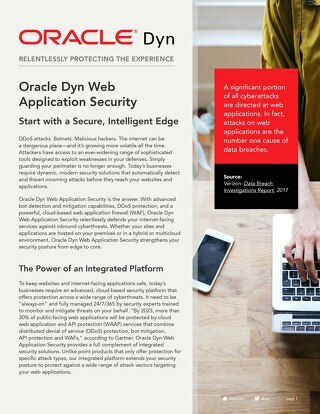 This overview discusses how our Malware Protection detects malware at the edge - before it reaches your web applications. 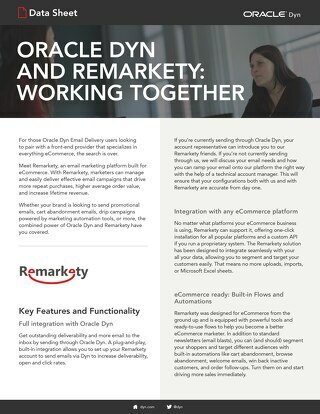 Find out Oracle Dyn and Remarkety work together to provide outstanding e-commerce and email delivery solutions. 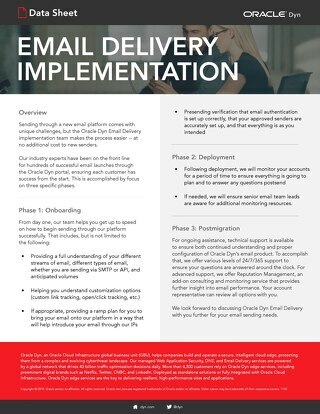 This document summarizes how the Oracle Dyn Email Delivery implementation team works with you to help ensure your success. 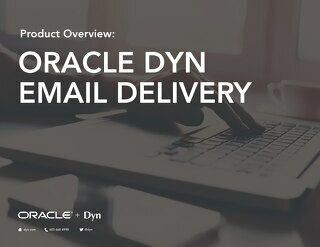 This product overview will help you understand how the right email delivery solution can help make your business more successful. 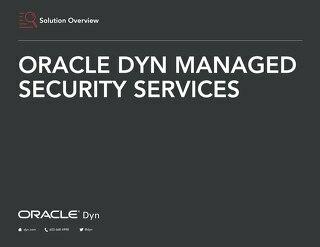 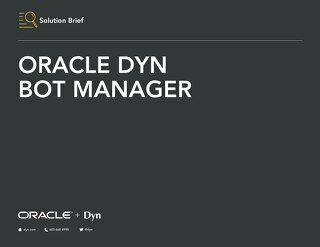 This product overview will help you understand how the Oracle Dyn Bot Manager can help protect your web applications and services. 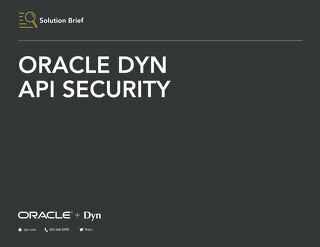 This document shows how the our API Security product determines the legitimacy of API calls to eliminate attacks at the network edge. 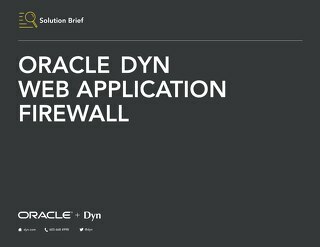 This document provides an overview of the Oracle Dyn Web Application Firewall (WAF), a solution designed to protect web applications and services. 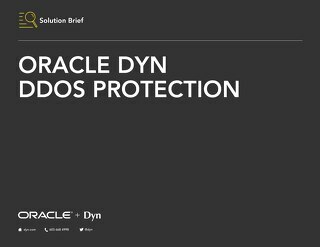 This overview describes how Oracle Dyn DDoS Protection can help you defeat DDoS attacks before they reach the network perimeter. 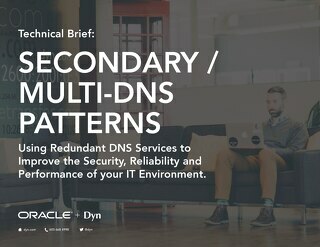 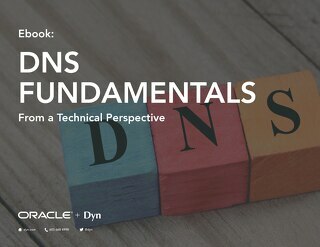 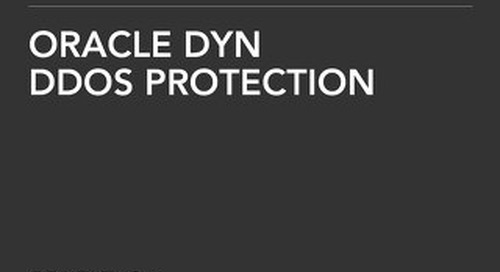 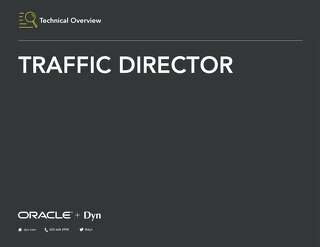 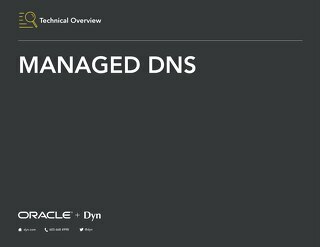 Find out more about the technical considerations and benefits of using Oracle Dyn’s Managed DNS solution in this technical overview. 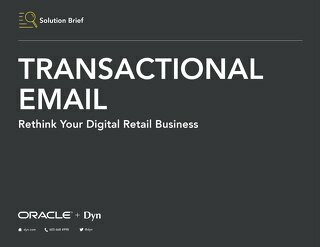 Retailers and ecommerce platform providers rely heavily upon transactional email. 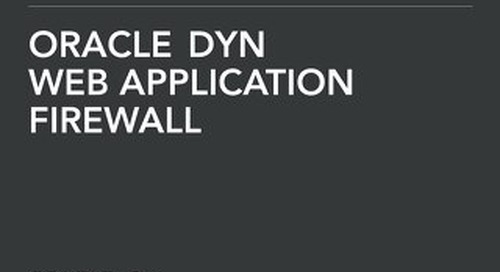 This document examines how Oracle Dyn’s cloud-based solution can help. 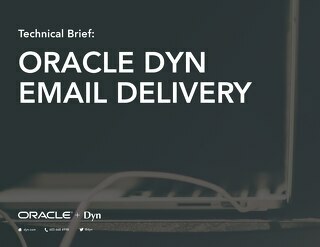 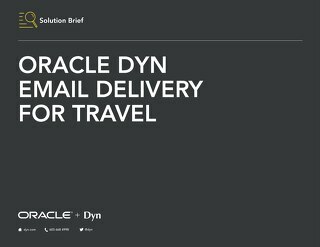 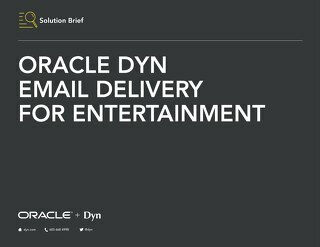 This technical brief provides a comprehensive overview of Oracle Dyn's Email Delivery service and covers the entire lifecycle of an email with our Email Delivery.